In this episode I’m going to give you some tips on where you can go to find free images on the interwebs because it’s completely illegal to just Google image search and then find images and then place them on your website. That is the wrong thing to do, 100%, so here’s some awesome sites that I think might help you and make your website look really cool because if you can’t afford a photographer, well you can’t just have text can you. Okay, awesome. Let’s do this. Look, should we start with the mothership? Now, this one’s paid, obviously. Well, not obviously actually if you’ve never looked for images. It’s obvious to me because I’ve been doing this for so long. Shutterstock, okay! It is awesome. There are 70 million images and they’re based around trends and how often or how recent they’re being searched for. You never want to look at how popular an image is and grab one of those because that would mean that every other site might have that image. You want to find the unpopular images that are awesome, so yeah, hop tip there. Shutterstock, very cool, but obviously, that’s paid. Now istock, also very cool, but that is also paid. Let’s try and find some free ones in this list for you so you can have a bit of an easier time here. Unsplash, unsplash.com. U-N-S-P-L-A-S-H.com. Unsplash photos for everyone. Unsplash gives you beautiful, free photos gifted by the world’s most generous community of photographers. This is pretty cool, it’s community-based. I think it’s where photographers might throw their images so they can get a bit of a start out and get their stuff out into the world. What I’m seeing here on the site today is really cool, like very earthy images. Depending on what you’re after, it’s going to depend on what you see here, but honestly, Unsplash have got some pretty sick images. Like I’m looking here at the Northern Lights. That’s hard enough to capture and that’s a pretty awesome shot. I’ve got some … Gosh, is that like … Is that Tasmania? Ooh, a unique spine line just off the coast of California. Wow. There is some incredible images here. I should totally be saying image cred, Ernest … Gosh, how do I even say your name? Ernest….. I’m not even going to try. I’m really sorry, Ernest. Cannon Beach, United States. That is a beautiful, beautiful image right there. There is some really awesome images on Unsplash, so Unsplash blah. Oh my God, Unsplash.com. I’m literally going to click on the image I like, which is a Montreal Botanical Garden flower by Ruben. I’m going to hit download free and oh my gosh, literally there it is in my downloads folder, so boom. These images are literally click and collect, so Unsplash, very awesome website we’ve got there. Now, next please. The next one is Pexels. I really hope that I’m pronouncing this correctly. It’s P-E-X-E-L-S.com. Pexels instead of pixels, Pexels. They state that they are the best free stock photos in one place. Okay, awesome. They’ve got ideas … Well, they’ve got a couple of sort of pointers that they give you, like fun, idea, paper, dance, blur, social media, apple. They give you a couple of … What do you say? Categories to look at and actually, these photos are pretty cool too. A little bit like Unsplash. I’ve literally just clicked on an image that I liked, I’ve hit free download, and yep, there it is. It’s right there on my desktop, so very cool. If you’re looking for images, these two sites that I’ve just given you are freaking awesome. That’s Pexels. What else have we got here? Alright, awesome. Our third site here, and I should say our third free site here, because we’ve been over two paid babies. Pixabay. Man, oh man, this site is old. How does the URL go? It’s P-I-X-A-B-A-Y.com. Pixabay. This site is super old. Like I remember in graphic design school using this place to put my designs together for my graphic design … What is it? I don’t know. Certificate or diploma or I don’t even remember what it was. Anyway, graphic design school, yes. Three awesome years over at Hornsby TAFE. Shout out to Hornsby TAFE and everyone who was a graphic designer at Hornsby TAFE. Best place in the world. Okay, Pixabay. These guys state, 1.3 million images and videos, and videos, shared by our generous community. Again, these guys are community-based and these are beautiful free images. Okay, so how does this site work? And I think I just up my microphone, so hopefully I didn’t get much louder. Okay, so these guys are community-based like the others. So let’s have a look, so there’s an awesome bird photo here … “Snap, something went wrong. Don’t panic, try reloading this page.” That’s not good, I’m not having a very good experience. Okay, we hit a bunch of eggs. Awesome, so Pixabay, eggs, raw, dairy, wooden, wood, desktop, closeup, table. Free download. Wow, it actually asks me what size I want, so that’s pretty cool. As a registered user, no capture is presented to you. Okay so, Pixabay are actually trying to push for signups, which is cool because that means that you’re gonna get in here more often and use it as your number one tool. Of course, I guess they’re spending … They’ve got a bit of Adsense on their site and that’s how they’re paying the bills, I don’t know. So yeah, Pixabay, really cool, been around for a very long time. awesome site. Again, there is a lot of content on here and it’s categorized. You can probably hear me clicking around on the site, very cool. Vector graphics, oh love hearts for Valentines Day, that’s awesome. Stop signs to stop, I mean penguin … There’s a lot of stuff on here, so yeah, Pixabay, that’s definitely one of my favorites. Going back Unsplash had very deep, beautifully filtered architectural, beautiful images you know stuff that you’re gonna use for like a cover of an ebook, or a big banner image, or … You would place a photo layer of yourself over the top of one of these mountain … I can’t tell you how amazing these photos are. All right so, Adobe Stock. Now I have been using the Adobe Creative Suite for way too long, and yeah, Adobe have a stock image library. Why not, everyone that uses Adobe Creative Suite needs stock images, so hell they just, you know, feeding the masses what they exactly want. So Adobe Stock is paid for, so it’s not as fun as the others. And it’s stock.adobe.com, and I’m in Australia, stock.adobe.com/au/ is the website. And their big message is, “Find the perfect asset for your next creative project.” Basically, Adobe Stock is paid for, I have never used it myself. Sure, it hooks up with all your creative suite stuff but no, I don’t get too excited about this stuff. Now, I did mention before iStock. So istockphoto.com, and then again I’m in Australia, so it’s got a forward slash au. So that’s istockphoto.com/au, so iStock by Getty Images. “Save with flexible plans to suit every budget. View plans and pricing.” So, of course, we pay for images because we need so many for our clients, and I pay for a Shutterstock license. But iStock is pretty damn good, I always found it to be more expensive than Shutterstock, and I guess I’ve just known Shutterstock better, that’s why I’ve stuck with it all these times. “Your idea deserves the right image. Your budget deserves a break.” This is cool. So they’ve got like, what do you say? Templates, pen templates. You can get this stuff for free elsewhere, I’m not gonna lie. This is not very exciting. All right, we’re moving on. If you wanna pay for images, iStock by Getty Images, they’re not bad. Okay, Shutterstock, very cool, again use them myself, so I guess I just know the platform really well. The biggest thing again I just want to reiterate is the fact that if you’re looking at images, do not go for the popular images. Don’t just search by popularity because you are gonna have the same stock photo as every other website. There is a very cool dog photo here, feeling down, and it’s like everyone having a really moody day. There’s a baby crying, there’s someone looking like they’re in Starbucks, and looking out the window. There’s a very cool chick skateboarding here and she’s just had a fight with her mom or something, and now she’s sitting outside with a skateboard. And her awesome converses and her pink beanie and looking, what can she do with her life. So there are some really cool photos on Shutterstock, I personally love Shutterstock. I think I’ve said that way too many times and this is not even a paid for podcast. It’s the sad collection, this is getting even better. I’m having way too much fun here. So yes, the most important thing is not to grab the most popular images on Shutterstock, because then you’ll have everyone else’s same photos. Because Shutterstock is super, super, super popular. So here’s a really random one for you, so if you’ve got your photos and you’ve picked them all out and you’ve paid for them, or you’ve downloaded them for free. And you’ve shown credit where credit is due, then what you might wanna do is cut your images and you can do that with LunaPic. So the website is quite strange, it’s www141.lunapic.com/editor/ … I don’t know if you guys prefer me spelling things out or just saying it, I don’t know, leave a comment I guess. So LunaPic, what it does is it allow you to cut and crop your images. So for me obviously, creative suite, I jump into Photoshop and I can whip and image, chop it and crop it and color it and blah in a minute. Never in a minute but anyway, LunaPic will do the same for you, so adjust light levels, crop your image, change the contrast, so yeah, really cool little image editor. So that one’s actually really helpful because most small business owners don’t know how to cut or crop an image, or color it. Because why would you pay $100 a month for Adobe’s very expensive product when you don’t need it? Now the last one I’m gonna leave you here with is Canva. I love Canva, I mean it’s Australian so … And I believe it’s a chick, so shout out to you miss. 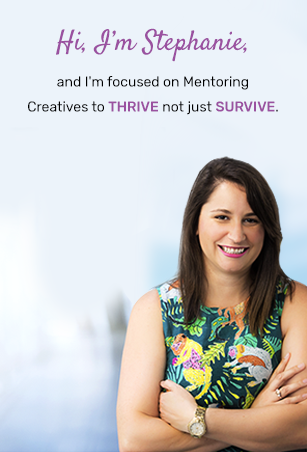 I love Canva because it is so easy to say, “Clients, you need better images for your Instagram or Facebook.” And they go, “I don’t … Where do I go?” And I’m like, “Go to Canva. Grab an account, pay for an account because you should totally pay for this service, it is awesome.” And then what you can do, is you can drop all your images in there, you can create templates. So if you want a certain look and feel for your Instagram for example, then you can create a look-and-feel template inside Canva. So the templates are really awesome, you can have a whole set of really awesome … What do you say? Brand styled images, the text is awesome, the fonts that they’ve got loaded into Canva are cool. You can also buy images in Canva. Now I believe the last time I checked, they were $1 each. Don’t quote me, I could be wrong, but these images are also really cool. What would be awesome for Instagram, is if you went to Unsplash and you grab some of their images, and then drop them into Canva and created a sort of a moody style to go along. If you were doing like motivational images, there is some sick motivational images right here in Unsplash, which you can drop into Canva. And basically drop your text or drop your message in there, and you look professional to say the least. Okay well, I hope I haven’t blabbed on too much. Basically you and your brand deserve the best type of imagery that it can possibly stretch it’s limits to. If you can’t afford a photographer, what else do you do? You cannot go searching on Google for free images because that’s illegal. You do not want to get caught doing that. But what you can do is use some of these freebies that I’ve given you, use Canva and use LunaPic to edit your images. And start being a pro, and then once you’re ready to start paying, then totally grab one of the paid photo accounts, and do your thing. So yeah, I hope that your image searching days are over. And you have so much more fun and so many more wins, just literally finding images for your brand online with these couple that I’ve given you. So all the best. If you have any questions, always leave me tweet, leave me a comment on Facebook or IG, whatever. I am totally here to answer your questions. All right, over and out. Thank you so much, caio.